Banana Oat Bites Banana Oat Bites are great for kids lunches – they can even help you make them! They’re cute little sweet treats! 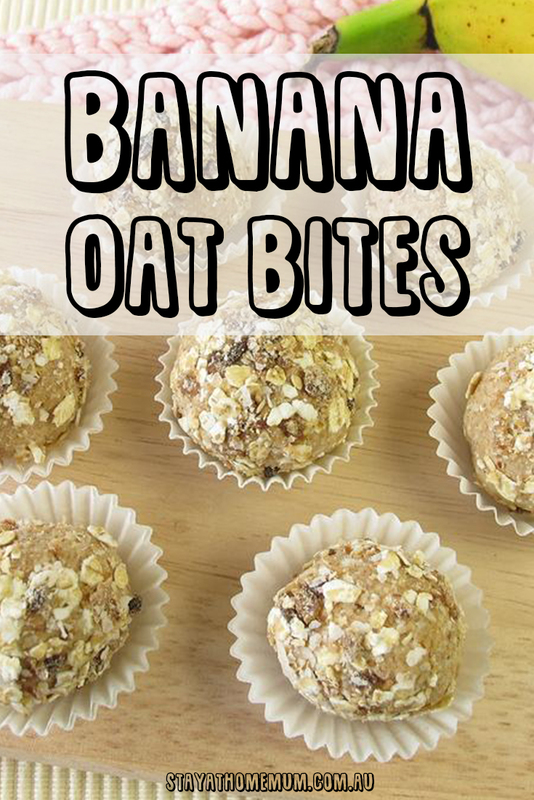 Banana Oat Bites are great for kids lunches – they can even help you make them! They’re cute little sweet treats! In another bowl, combine all the wet ingredients and mix well. Put 2 tablespoons full of mixture into each section of a well greased muffin tin, or use patty cake liners. Banana Oat Bites are not suitable for freezing. Store in fridge in air tight container for up to four weeks.